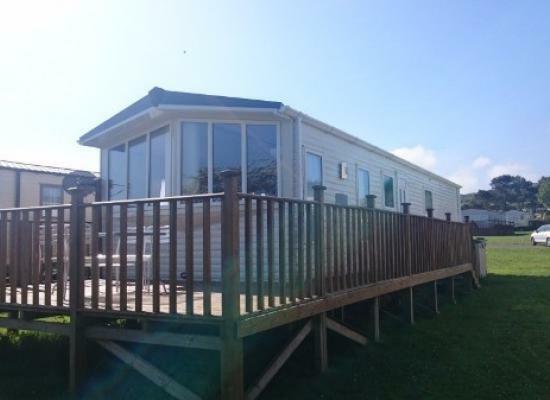 Luxury 6 berth family caravan nestled within the magnificent Pembrokeshire Coastal National Park. Located on the paths to three beaches which are only a short walk away. Get away from it all by relaxing in this gorgeous part of the world! The Dinas Cross Country Park is a family run holiday park located in Pembrokeshire, West Wales. Due to the setting of the park you are surrounded by everything the Pembrokeshire Coastal National Park has to offer. Within walking distance of the holiday park you have a beautiful coastline, an abundance of wildlife and plenty of countryside to explore. Despite the scenic setting the park is easily accessible via the A487 which is just a few hundred metres away. This means you can easily explore everything that this area of South and West Wales has to offer. From the nearby nearby towns of Newport and Fishguard to the many amenities in the area including water sports, golf, walking, horse riding and fishing.